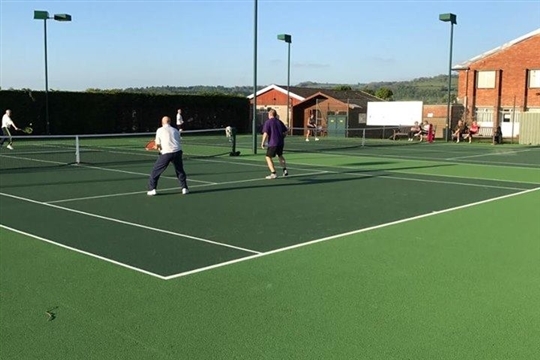 Saltford tennis club is a friendly, local club at the heart of the community in Saltford. We welcome players of all standards and ages, from minis and juniors just starting out to senior competition level. We have coaching for players who are beginners, improvers, and returners through our TeamBath coaches. At present, the club runs two mens teams and two ladies teams in The Avon county summer league. We have two teams(mixed) in the Avon county winter leagues. Any club player has the opportunity to play through the club to find their own level of competition. 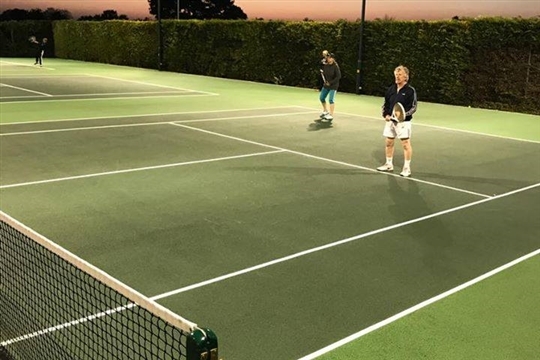 The club has three newly resurfaced and painted macadam all-weather courts with overhead lights allowing extended play throughout winter months. Lights are free for club nights and balls are supplied. We have a club house which provides shelter and refreshment facilities. 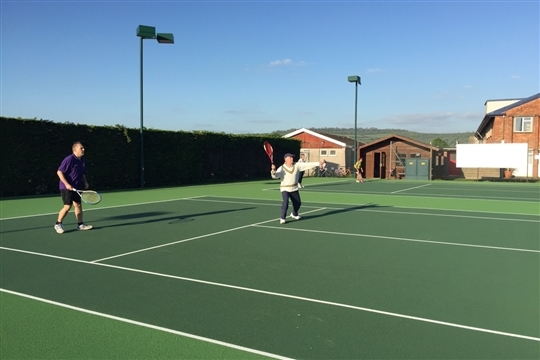 Courts are available for play from 9am to every day and floodlights are available until 9:30pm. Club play is Tuesday and Thursday evening (mixed) from 6.30pm. and Monday morning from 9.30am.(ladies). These are the main play sessions. There is also play on Monday afternoon from 1pm (mixed). 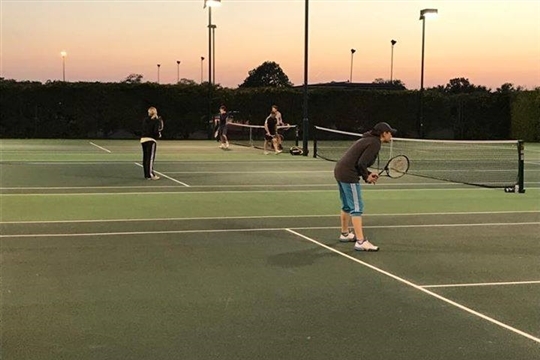 Court hire and non members - we welcome non-members booking our courts during all public sessions (available every day from 9am - dusk as flood lights not available for public/non member hires). Book online or through the Clubspark Booker app which can be downloaded onto your smart phone. After we have received your payment online you will receive a confirmation email which explains how you access the courts and provide you with a four number code to use. The cost is £6 per hour and is paid online before your confirmation email is sent.